We've been looking up to Victoria Beckham since her days as Posh Spice simply for being the super chic human that she is. Though her name is typically associated with fashion and her eponymous designer line, we trust her stamp of approval within the beauty world as well. After all, she's 44 years old yet has the smooth, pore-less complexion of a teenager. She's also proven to be quite a beauty buff in her own right, by releasing a makeup collection with Estée Lauder in the past (not to mention showing us all up with her perfect in-flight beauty routine). Rest assured she knows what's up when it comes to beauty. "In Australia I had the most AMAZING facial with Melanie Grant skincare," Beckham captured the first image of a Melanie Grant bag. She then shared four products that Grant recommended she use, including Cosmedix's Purity Solution Cleansing Oil, Purity Clean Exfoliating Cleanser, Serum 24 Rapid Renewal Complex, and Eye Doctor High-Potency Eye Treatment. 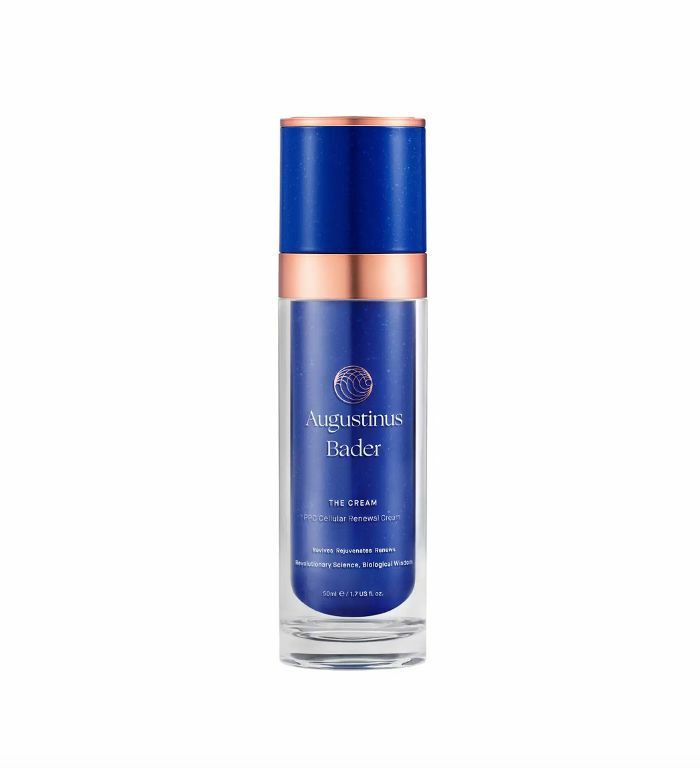 She caps it off with a $265 cream from Augustinus Bader, which she calls "AMAZING" and uses after cleansing her skin in the morning and the evening. (By the way, this high-tech face cream is beloved by many a Byrdie editor. Make sure you check out our full review). This cleansing oil is a combination of six others, namely olive, moringa, kukui, safflower, sesame, and argan oils. These oils are rich in nutrients and moisture, which is beneficial to the skin in the cleansing process. As with any oil, they dissolve through dirt and makeup. The exfoliating cleanser, on the other hand, rinses away what the cleansing oil might leave behind. This is the second step in Beckham's new skincare routine. Lactic acid gently sloughs away dead skin, while tea tree oil, and peppermint essential oil balances, cools, and calms the skin. It sounds super refreshing, no? 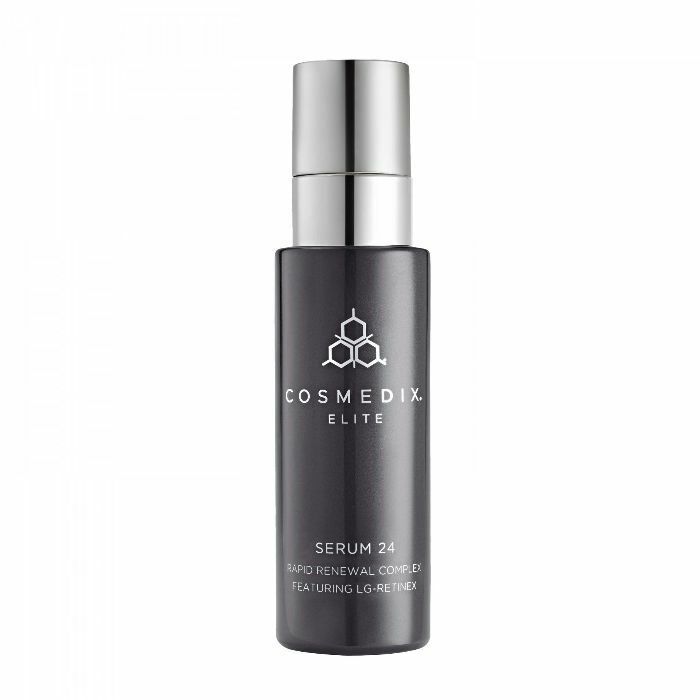 Next is this antioxidant-rich serum, which is also by Cosmedix. It's formulated with retinol to prevent fine lines, wrinkles, and other appearances of aging from forming. It even works to even the skin tone by clearing hyperpigmentation, acne scars, and dark spots. Beckham calls this eye cream "beyond," so we'll gladly give it a go in the name of better skin. It's a liquid crystal treatment, so the actual formula itself looks color-shifting and alien-esque like an actual crystal. 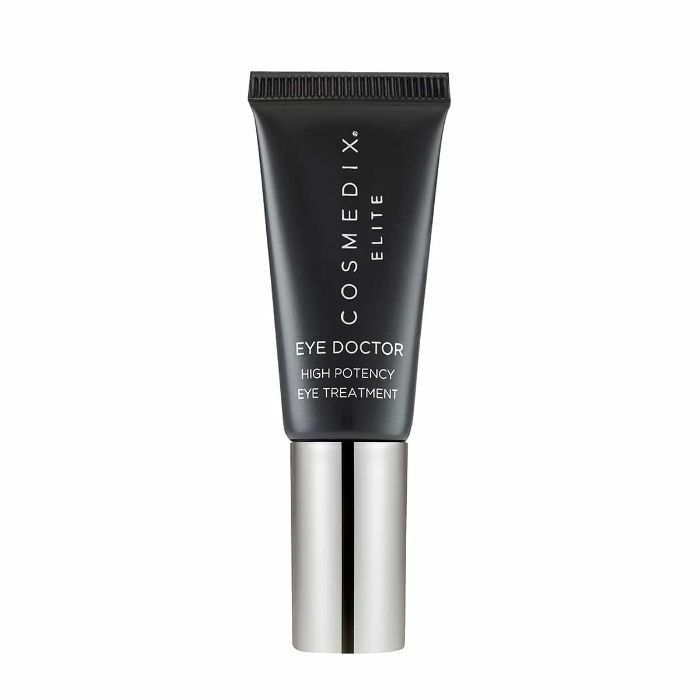 It's chock-full of retinol, antioxidants, and moisturizing botanicals to repair damaged or thinning skin around the eyes. This high-tech skin cream is super buzzy right now. It's being used by celebrities, beauty editors, and influencers alike. Sure, it's expensive, but it makes sense when considering that its purpose is to replace the steps in your beauty routine with a single formula. Again, make sure to read our full review. Spoiler: We agree with Beckham when she calls it "amazing." This story was originally published on Byrdie's sister site MyDomaine and has since been updated by Kaitlyn McLintock.